For a couple of reasons I’ve been thinking about the myriad number of assumptions inherent within the western ‘way of life’. By assumption I mean an expectation of normalcy – something that has nothing remarkable or unusual about it, it is just assumed to be part of ordinary everyday life. And yet how transient and ephemeral such expectations are. You and I exist as a blip in time. We inhabit a 21st century western culture that is itself a (admittedly significant) blip within the flow of human history. Our location within the West carries a truckload of assumptions that do not apply in most of the rest of the contemporary world. So I started to jot down assumptions of daily western life. It’s a simple exercise that raises questions about how deeply and pervasively your Christian faith and theology proper (view of God himself) is shaped by those assumptions. I suspect far more that we can begin to imagine for theology itself emerges out of the intersection of culture and revelation. Without going all the way with radical postmodern deconstructions of human nature, it appears self-evident that human identity is remarkably malleable. Probably it is this adaptability and flexibility which has been the key to humanity’s bewildering globalised cultural diversity. Of course any missiologist or missionary to the developing world (or vice versa) knows this in a more personal and real way than I do for I haven’t lived outside the West. And you dear reader, will have your own experiences and perspectives which you are welcome to add. Some daily assumptions set against imagined contrary realities of life on the margins of the developing world. – that ‘our’ Western consumerist ‘way of life’ is secure, natural, progressive, sustainable, normal, and good [contra it being recent, atypical, increasingly unstable, and built on a mixture of empire, colonialism, economic exploitation of weaker nations, and unsustainable use of global resources]. OK, these are big generalities; I’m simply trying to paint a picture of alternative experiences, alternative realities, alternative cultures that co-exist globally today. (And I’m sure this could be done within Irish culture without pitching it on a West vs the Rest scale). The question I have is how different would your and my Christian faith be if we lived in that ‘contra’ world? Can we even begin to imagine an answer to that question? What have we to learn from Christian voices from that world? What deeply held assumptions do we as Western Christians have that are much more cultural than Christian? Over what do we get shocked, surprised or disillusioned when life (and therefore God) inconveniently fails to match our expectations of what ‘should be’? Paul liked gently to remind the Corinthians that they actually didn’t know it all and really should have known better. Where should we really know better than to believe the cultural assumptions of our host culture? Or, to put it another way, where should we be ‘disbelievers’ in the story of the West? Just finished reading The Poisonwood Bible by Barbara Kingsolver (1998). I guess that means this blog is about 15 years behind the times which feels about right. And that’s the beauty of good literature, it’s always waiting to be discovered. Anyway, a beautifully written review is here (without major spoilers and I’ll try to avoid any too in some musings below). It’s the tale of the Price family; Nathan the zealous American Baptist missionary, with his wife Orleanna, and four daughters, Rachel, twins Leah and Adah and the youngest Ruth May. The setting is the Belgian Congo in 1959, just before independence and the rise of the Western-backed dictator Mobutu. I got slowly drawn in, and once you persist and enter the family’s story you’re hooked (hopefully not by hookworm. As Adah remarks at one point, Africa has an astonishing number of ways of burrowing under your skin). It’s told in turn by each of the women; by Orleanna from the USA post-Congo, and by the daughters as events unfold. Maybe the mark of a really good novel is that is stirs you up, whether emotionally, politically, spiritually. If that’s true, this is a really good novel (at least in my experience). Emotionally, it’s a story of women and the impact of one man on their lives. Roger Olson put up a great pot-stirring post the other day arguing that all the evidence is that women are simply better than men – better human beings and better a running things [A Modest Proposal for fixing the world: let women run it] . Hard to argue with that sentiment after reading this book. Men – whether Nathan Price, Mobuto, President Eisenhower, make (and have continued to make) a heartbreaking mess of the Congo through violence, greed, corruption and cynical international politics. Kingsolver draws her female characters with unflinching honesty; their humanity is believable, raw and complex (even, in her own way, the superficial Rachel). The emotional heart of the book is their life-long intersecting African journey(s). Politically, all sorts of questions are left floating down the Congo. This is a story written out of a deep love for Africa; an Africa that Leah becomes part of. Her journey from American to African is a harsh pilgrimage of repudiation of the insatiable West’s exploitation, despoilation and destruction of Africa’s resources, cultures and dignity. In reverse, it is also a powerful critique of the superficiality and mindless excess of Western capitalist consumerism and individualism. Spiritually, it is an angry, even bitter, book. “Tata Jesus is bangala!” preaches Nathan, too arrogant and thoughtless ever to understand that his disregard for the subtleties of Kikongo language means his words are heard as announcing that Jesus is the vicious poisonwood tree and not, as he intended to say, ‘precious and dear’. Nathan’s god is indeed poison: a poison that each of the women in their own way spend a lifetime trying to get out of their system. While I would want argue that Nathan was right that Jesus is ‘precious and dear’ (even if his pronunciation and life betrayed his words), it is undeniable that there is a lot of poisonous ‘Christianity’ around. 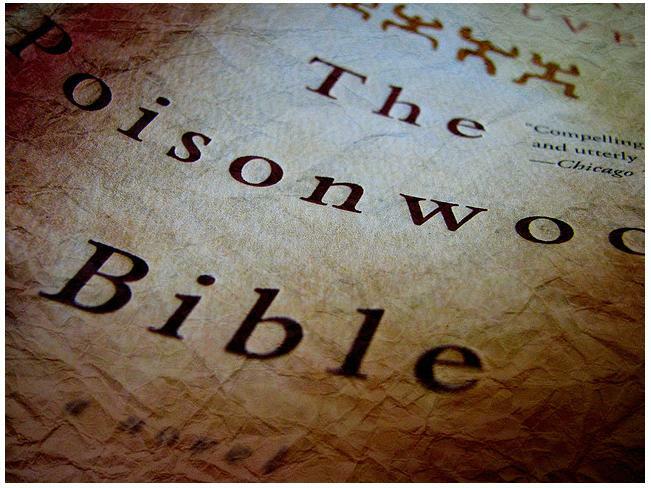 The Poisonwood Bible is a reminder that something horrible happens when Christianity is fused with power: whether Nathan’s destructive zealotry and control over those he should have loved and protected or when Christianity is used to sanctify nationalist and political agendas or when it becomes an individual leader’s power-trip. For power used for selfish ends utterly and deeply contradicts the essential nature of Christian faith. It is profoundly unChristian in that it rejects the way of Jesus, the servant Messiah. It grieves the Holy Spirit whose fruit is love, joy, peace, patience, kindness, goodness, faithfulness, gentleness, and self-control. At its heart, power-distorted religion, is a form of idolatry; it trusts not in the foolishness of God which is victorious through the cross, but in human strength and force of will and the illusion of control that they confer. As in The Poisonwood Bible, It’s men who are most easily seduced by such power games. How Acts is read is pivotal to the different perspectives on the Spirit and contemporary church practice held by Pentecostals / Renewal Movement and others ‘mainline’ Christians. Roger Stronstad and Robert Menzies are two Pentecostals who have written extensively on Acts. Along with Max Turner of London School of Theology from within the Renewal Movement, with his amazing 1996 double whammy of Power from on High: the Spirit in God’s Restoration and Witness in Luke-Acts and Spiritual Gifts Then and Now. In his magnum opus, The Holy Spirit in Biblical Teaching, through the Centuries and Today, Anthony Thiselton wades into the troubled waters of Acts not once but repeatedly. The first instance is in his chapter on ‘The Holy Spirit in Acts’, but the issues keep resurfacing in later sections on the contemporary scene – but we’ll get to those later. The classical Pentecostal position has been to interpret Acts 1:8 “But you will receive power when the Holy Spirit comes on you; and you will be my witnesses in Jerusalem, and in all Judea and Samaria, and to the ends of the earth” as Jesus promising a second blessing type experience, empowering believers, subsequent to coming to faith. Typically this second blessing being accompanied by speaking in tongues. Things have moved quite a way since then. Veli-Matti Karkkainen, A Pentecostal scholar at Fuller, estimates that 40% of Pentecostals do not claim to speak in tongues. Gordon Fee questions the exegetical basis of second blessing theology, and Karkkainen seems to come close to this position as well. Menzies is one holding out on the classical position the tongue speaking constitute ‘initial evidence’ of ‘baptism in the Spirit’. Within the Renewal movement, (charismatic, ‘Third Wave’ / ‘New Wine’) you tend to get, for example, tongues connected to the Spirit being invited to ‘come upon’ the whole congregation during a time of worship, prayer and teaching – which is a distinct theology and practice to classical Pentecostalism. 1) While there has been a huge amount of analysis and discussion of Luke-Acts, ‘who is right over Luke’s overall intention?’ Is he mainly ‘just’ a narrator of events that happened in a unique, unrepeatable way, or does he seek to offer a model or paradigm for Christians for all time? This is the critical hermeneutical question. Pentecostalism, and much of the Renewal movement is ‘restorationist’ to a greater or lesser degree. But even so, some modern Pentecostals are now writing that Luke did not intend to write a blueprint for all subsequent generations. 2) Does Pentecostal zeal for renewal and purity risk compromising the doctrine of grace? Thiselton puts it this way; “Is there more than a hint of receiving the Holy Spirit when faith, obedience and prayer are first offered? Or does the Spirit himself originate and cause faith, obedience and prayer? Many Pentecostals have moved away from the older more rigid classical position of a crisis experience linked to tongue speaking. Frank Macchia for example, wants to hold on to the term but offers a much broader more inclusive understanding of a more process-orientated sanctification (like that held by John Wesley). Thiselton picks this question up later (129-30). If people like Macchia, Karkkainen and Fee are in effect saying that a text like 1 Cor 12:13 is not talking about a secondary ‘baptism in the Spirit’ but the gift of the Spirit that makes someone a Christian, how and why try to hold on to the term at all? (Macchia says it is still a key identity marker of Pentecostalism.) Thiselton is not questioning the experience of subsequent fillings or empowerments of the Spirit, he is disputing the label. Even to admit that they want to use the label but acknowledge that it is not a Pauline theology would help says Thiselton. 4) How should Acts 2 be understood in relation to events in Acts 8:14-25 (Samaritans); 10-17-48 (Cornelius) and 19:1-7 (the Ephesians)? Non-Pentecostals will tend to argue that Acts 2 was initiatory and decisive for all Christians. It was the once-off outpouring of the Spirit, filled with eschatological overtones of fulfilled promise and the dawning of the new age of the Spirit. How then is this to be reconciled with three subsequent outpourings of the Spirit recorded in Acts that seem to be exceptions to the norm? Pentecostals will tend to take them not as exceptions, but as the norm or at least as a model to be emulated – as evidence of second blessing or subsequent giving of the Spirit post conversion. Does Acts 8 contradict Paul and his insistence that to be a Christian is to be receive new life in the Spirit? The Samaritians had ‘accepted the Word of God’ but had not received the Spirit. Thiselton, following Dunn to a large extent here, goes for Acts 8 as an untypical event in the advancement of the gospel across deep divisions (Jew-Samaritan) at a unique epoch in the mission of the church. Cornelius is more straightforward in terms of being an example of both coming to saving faith from hearing the preached word AND receiving the Spirit. The key event here being the inclusion of the Gentiles in the people of God. Acts 10 then is a ‘Gentile Pentecost’ initiated and effected by the Spirit who instructs Peter what to do. This then is a unique once-off event in the history of salvation – a salvation empowered and enabled and effected by the Spirit. [Curiously, despite listing Acts 19 in a sub-heading, Thiselton fails to discuss the Ephesian elders text]. I can’t do justice to the depth and breadth of Thiselton’s scholarship – he seems to have read and interacted with everyone and everything. The picture is of a book constructively critical of Pentecostal and Renewal theologies, but serious intent to engage at depth and with absolute fairness with those perspectives. So it’s no accident that he comes back later in the book to engage specifically with Pentecostal and Renewal scholars and explore problems and challenges in their perspectives. I’ll post on that later. In this sense this is an ecumenical work that invites (and I am sure will get) serious response from those dialogue partners. One initial impression that may be mistaken – Thiselton acknowledges much honest self-reflection and rethinking among Pentecostals. He does not see much sign of it amongst many Charismatics and Renewal movment people. But I would also like to see more self-criticism of the problems and weaknesses in this book of ‘mainline’ or ‘orthodox’ practice around the Spirit. Anthony Thiselton, Professor Emeritus of Christian Theology at the University of Nottingham and author a bunch of important books, talks about ‘a dangerously widening chasm of church practice’ between Pentecostals / Renewal Movement and other Christians in older established churches. 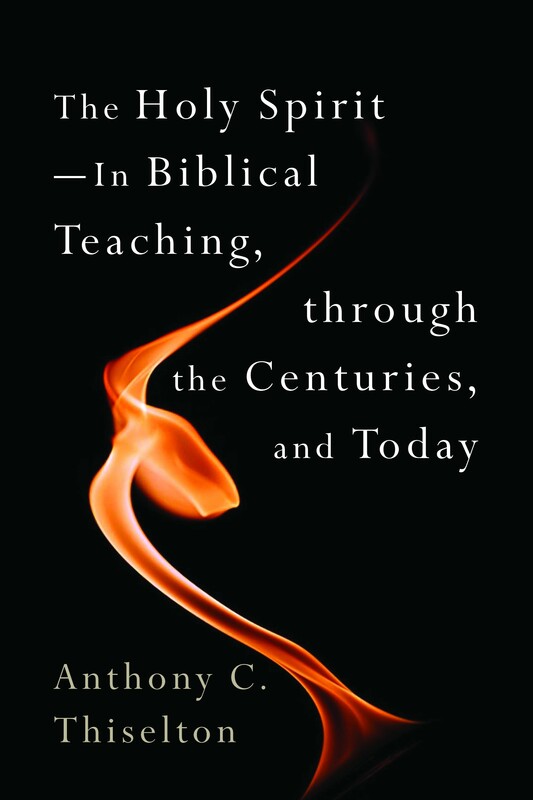 Those words come in his preface to his newly published magnum opus with the snappy title of The Holy Spirit – in Biblical Teaching, through the Centuries and Today . If you are seriously interested in any of the three areas named within the title, you need to grapple with this book. It’s the fruit of a lifetime of teaching and is, as far as I know, unique in its scope. One of his aims is to open up dialogue and understanding with Pentecostals / those within the Renewal Movement and other Christians outside those streams. So to come back to that line in his opening paragraph – what do you think? Is difference over church practice around the Holy Spirit – in worship, theology of ‘Spirit Baptism’, gifts, theology of healing, expectation of encounter with the living God, church organisation, and so on becoming (or has the potential to become) a ‘dangerously widening chasm’ within global Christianity? To put it another way, do Pentecostals and non-Pentecostals (for want of a better description) increasingly speak a different language (no pun intended) in how they express their Christian faith? In church worship and in personal spirituality? Pentecostalism, we are routinely reminded, the fasted growing sector of Christianity on the planet. The stats are astonishing, especially in the global south. It’s also a very young movement just over 100 years old. Only recently is there a growing self-reflective theology emerging within Pentecostalism – a movement traditionally suspicious of, and reacting against, intellectualism and rationalism. See journals like Pneuma and Journal of Pentecostal Theology. See authors like Gordon Fee, Frank Macchia, Robert Menzies, and Renewal scholars like Max Turner. At 565 pages, I don’t plan to blog through the book. But what I hope to do is to pick up on some of the key theological and hermeneutical points of debate and difference among Pentecostals / Renewal and others Christians. What for you are the key points of difference between Pentecostals and non-Pentecostal Christians? What lies behind those differences? Are they more surface differences than anything really substantial? What do you think are the strengths and weaknesses of Pentecostalism? What have other Christians to learn from Pentecostals? 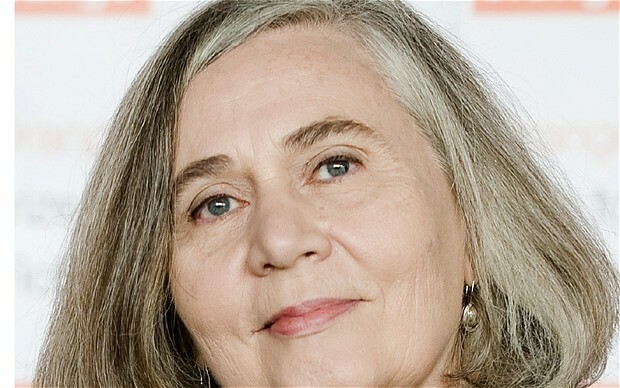 It’s not often that Marilynne Robinson is speaking just down the road. St Patrick’s College Maynooth host the annual Michael Devlin Lecture. Previous speakers have included some guy called Tom Wright and another fella called Volf. In other words, the live up to the goal to invite someone who has made an outstanding contribution to their field. Here are some reflections (not a summary) hot off the press from tonight’s lecture from your faithful correspondent. Gilead and Home are suffused with compassion, humanity, understanding, grace, and a sense of the divine in the midst of everyday life and relationships. You care deeply about the characters and the story. In an interview on RTE radio she said that she grieved for the characters when she finished writing and you can understand why. Listening to Marilynne speak – and engage with questions – those same qualities were there in the flesh rather than the imagination. It was unlike a lecture, more an honest, autobiographical, flowing, poetic series of observations constructed from within a profoundly Christian sensibility. She was ‘speaking Christian’ – unashamedly and unhesitatingly articulating what it is to think and be as someone who belongs to the triune God. Someone whose thought world and identity have been and are shaped by the limitless nature of God’s grace, fear of the Lord, humility, love, God’s loyalty to humanity, compassion, forgiveness, awe, wonder, beauty and the sacredness of life and all creation. Marilynne in short, speaks and is, Calvinism at its best. She is well aware of Calvinism at its worst. Too often orthodoxy has been marred by rigidity, meanness and judgementalism. Calvin is routinely caricatured as being all three. But while not true of him, is can be true of many of his heirs. She joked of how while much of Protestant mainline churches became embarrassed to be Christian, many new (evangelical?) churches have too little embarrassment about their over-confidence, lack of self-reflection, divisiveness and where ‘truth’ is a known entity – something to have control over. She knows that God loves others more than she does. She knows each century is just about as brutal as the technology of that era has allowed. She knows that we are always a mortal threat to ourselves but the goodness of God will win out. She knows that to be Christian is to be part of a living tradition, a community of faith, of sacrament and of the preached word. She knows that such a faith is virtually unintelligible to the contemporary modern world but that it was also so right from the beginning. Her humanity and honesty shone through as she spoke of a period of depression / despair in the long hiatus between Housekeeping and Gilead and how God spoke to even rationalist academic like her in a dream. This sounds peculiar from a person who is a Christian, works in a Christian organisation and is an elder in a Christian church, but it is not often you hear someone so authentically and naturally show their joy in and love for God. Not even in so many words, but in the whole talk. For one or two people there this was all a bit too particular, and narrow and, well, Christian. Her answer – it is through the particularity of the gospel that you reach universal truths. And you can’t get any more particular than Jesus. Her talk began and ended with him. He is truth. His followers are called to participate in him through the breaking of bread and the drinking of the wine. Thank you Marilynne for an evening of refreshment for the soul.